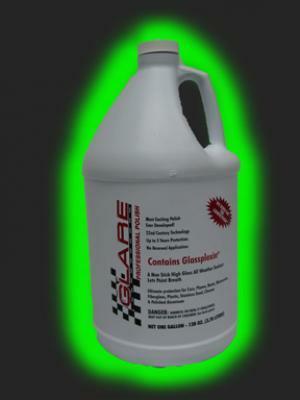 Glare Micro Finish Gallon (128 oz. Jug ) Special Save $60.00 Off Regular Price! Limited Time Only! 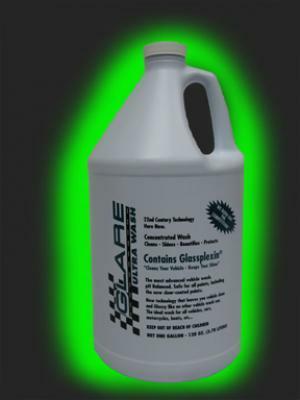 GLARE MICRO-FINISH is a revolutionary micro compound developed with our exclusive Glassplexin formulation. GLARE MICRO-FINISH has the smallest and finest abrasive particles added to remove light to moderate levels of oxidation and micro scratches without scratching or harming the applied surface. Just like GLARE PROFESSIONAL POLISH, GLARE MICRO-FINISH does not contain any type of waxes, polymers or resins, and can be used on a variety of materials including paint, clear-coat, gel-coat, fiberglass, chrome, glass, carbon fiber, plexiglass, plastic, and all metal alloys. This is the absolute best product available for removing those annoying micro scratches you see in your vehicle’s paint, and also excellent for polishing up rims, wheels, and exhaust pipes too! This is not a cover up polymer wax product, but actually and permanently repairs micro scratches and oxidation through physics and chemistry. 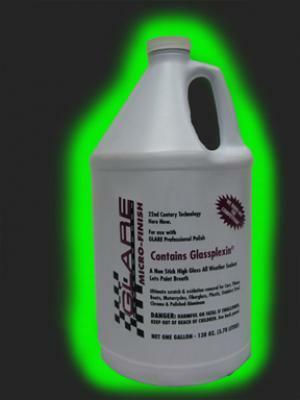 GLARE MICRO-FINISH is the most advanced micro compound ever developed. The most advanced wash ever developed. A PH balanced concentrated wash. Safe for all paints and finishes including the new clear-coated paints. New technology that leaves your vehicle clean and glossy like no other vehicle wash can. Contains Glasplexin ®. 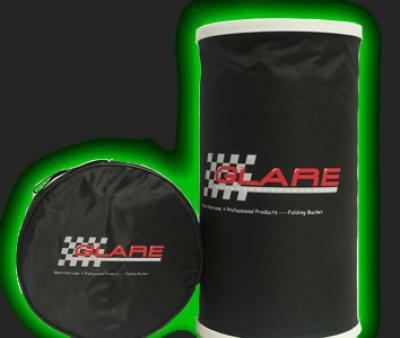 Glare Foldable 5 Gallon Bucket Special Discount Code 51902331 Limited Time Only!! This Glare Bucket is made from the finest Fire-Hose material to give it longivity, and makes extremely sturdy. Will give you many years of use! Handle is made from the finest surgical stainless steel. Folds up in a zippered hat box. After use just fold up and up it your trunk of your car, or store in the garage. Once you use this bucket you will not want to use any other kind! Many uses: Car washing, Holding Golf Balls, Holds Ice for Drinks at the Beach, Fishing!! etc. You will find many more uses for our Glare Foldable 5 gallon Bucket! Makes a Great Unique Gift for anyone!